Should athletes be allowed to hack their bodies to get an edge? 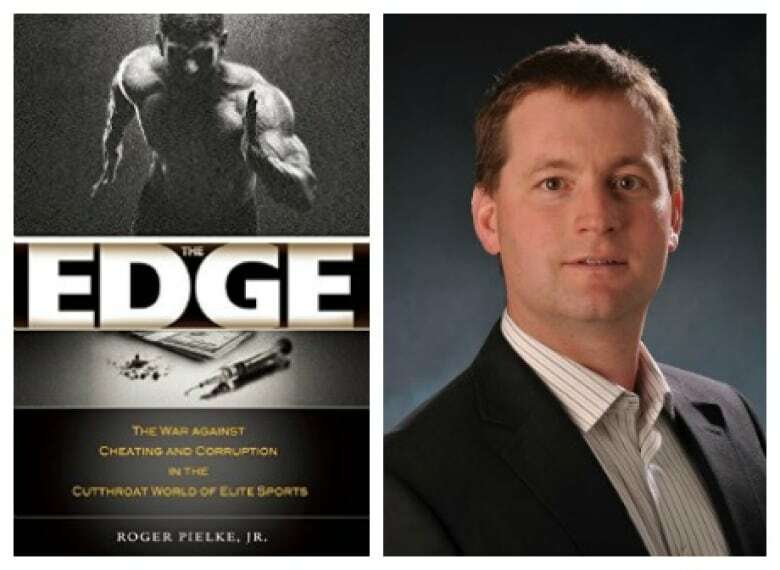 Performance-enhancing drugs create an unfair playing field in sports but Roger Pielke Jr., author of the forthcoming book, The Edge: The War Against Cheating and Corruption in the Cutthroat World of Elite Sports, says there's another issue on the horizon. There's a cloud hovering over Rio de Janeiro and it has nothing to do with the weather. Performance enhancing drugs and the maelstrom that comes with them is very much a part of every elite competition but the build up to this year's Olympic Games is like nothing we've seen before. While no country or sport is completely exempt, the conversation of late has revolved around a Russian grand plan for victory and evidence of the state-sponsored cover-ups that helped make it happen. In all, 271 Russian athletes are allowed to compete but they had to wait until the night before the opening ceremonies to find out. There's no doubt that performance-enhancing drugs create an unfair playing field. But some people are looking at yet another frontier that's challenging equality in sport: the issue of enhanced humans. This is an area Roger Pielke Jr. has been studying for years. He tells Day 6 guest host Marcia Young that athletes are making changes to their bodies and those changes make them better, faster and stronger than ever. 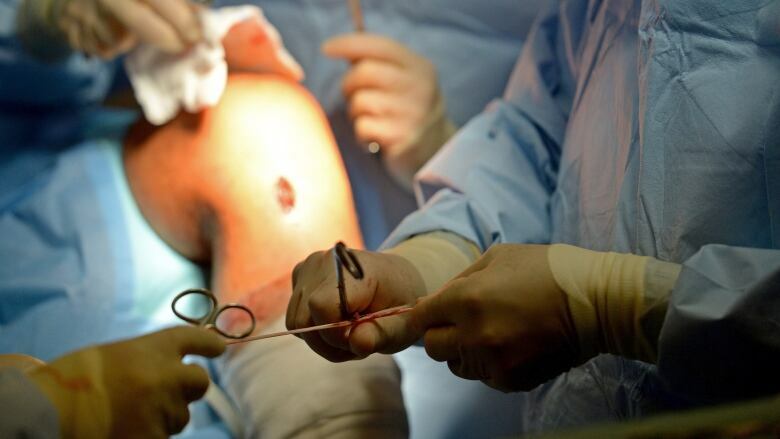 "We're talking about augmentations to the human body, things like replacing joints. Imagine a weightlifter who had carbon composite tubes placed around his knees so he can lift a larger weight," says Pielke Jr. He also referenced UFC fighter Nate Diaz who not only had his badly scarred skin surgically peeled back from his face and replaced by cadaver skin, he also had parts of his skull shaved and rounded so he would bleed less during combat. Pielke Jr. is a professor at the University of Colorado and head of the Center for Sports Governance. Enhanced humans is one of the topics in his forthcoming book 'The Edge: The War Against Cheating and Corruption in the Cutthroat World of Elite Sports'. While this may sound like science fiction - like some kind of mash-up of The Six Million Dollar Man meets The Terminator meets Rookie of the Year - Pielke says this is already happening and the world needs to pay attention. The conversation started back in 2012 when South Africa's now-disgraced Oscar Pistorius, a double amputee Paralympian known as the blade runner, made history by sprinting in the London Games. Pistorius had to fight to be included in the London Games. He was first denied inclusion in the London Games and then appealed the decision. The thinking was that his prosthetic running blades gave him an unfair advantage. But when the IAAF (the federation that oversees track and field) couldn't prove conclusively that they did, there were no grounds to deny him a place in the 400m and 4x400m relay. That set the stage for Germany's Markus Rehm, or so he thought. Rehm is a world-class Paralympic long jumper who lost a leg in a wakeboarding accident at 12 years old. Like Pistorius, Rehm wears a carbon-fibre blade. He's an exceptional athlete and right now, he can leap farther than any Paralympian or Olympian. Despite his ability, he won't be competing in the Games of the 31st Olympiad. In between the London and Rio games, IAAF quietly changed the rules for allowing athletes with a blade. Before, the governing body had to prove an advantage. Now, the burden is on the athlete to prove he or she doesn't have an advantage. As Pielke points out trying to prove a negative is a very difficult thing to do. "Scientists studied Rehm and not surprisingly came up with the same result as with Pistorius. They couldn't determine whether he got an advantage by jumping off his blade or not but because he couldn't prove a lack of advantage, he wasn't included." Pielke says the change in policy is less about science and more about deciding on what the IAAF wants its default answer to be. "At that level, it's a societal question, it's a political question and it's a question about inclusiveness," he says. Pielke also points out that Pistorius was not a threat to win and in the end, he finished last in his semi-final. But that's not the case with Rehm. "Here we have a situation where you have a Paralympian who's threatening to be on the medal stand and could even threaten the world record," he says. "All of a sudden, we're in this strange world where - if you think that the Paralympics are for athletes with disabilities, that's been turned on its head. It's now a place where some athletes have superhuman abilities". Pielke says we're approaching a world in which athletes could have synthetic ligaments and tendons put in our bodies and these would allow tennis players and golfers and baseball players to strike the ball at a velocity beyond what humans can normally do. "We already have an example with lasik surgery. Athletes who rely on visual acuity have their eyes lasers to the limits of human performance," Pielke says. That's not an adjustment we can see. If we look at one of these athletes they look just like anyone else but their enhancement lets them see better than others. Pielke wonders what would happen if technology allowed Markus Rehm's leg to look just like a regular fleshy leg? What would happen then? "The kinds of improvements that are going to be made to the human body and the human form in the coming decades is going from the realm of science fiction to science reality. And it's something the sports world of sport is going to have to deal with just as they're dealing with the chemical augmentation we're seeing in doping," Pielke says. To hear Marcia Young's conversation with Roger Pielke Jr. on enhanced athletes, hit the listen button at the top of the page. A billionaire just helped bankrupt Gawker Media founder Nick Denton. Who should you be cheering for? Day 6 Encore: Could genetically modified mosquitoes stop the Zika virus?